With independence African countries faced the sudden and overwhelming challenge of building prosperous and peaceful modern nation-states from the diverse communities within their borders. The countries’ predecessors, the former colonial powers, had left strong precedents for building architectural monuments to assist in overcoming similar challenges of effective governing, though with far greater resources of political experience and coherence. Through public monuments, African leaders had the opportunity to express their vision and inspire their nations’ peoples to see themselves as citizens. Different African nations adopted various approaches to solving this fundamental dilemma of nascent nationhood. Africa’s pioneering president, Kwame Nkrumah of Ghana, directly confronted the irony of building colossal commanding monuments in a continent without a parallel tradition of monumental architecture. In Accra Nkrumah erected a Romanesque Triumphal Arch and towering statues celebrating himself as the father of Africa and the capacity of Africans to build grandiose architectural creations rivaling those of their former conquerors. In Tanzania, President Julius Nyerere urged his fellow countrymen to think of themselves primarily as citizens of a unified nation who respected one anothers’ differences and could come to a consensus, united by their appreciation for “African” socialism, under the nation’s parliament building in the newly constructed capital city of Dodoma. Nyerere planned to embody this aspiration in a national monument of an acacia tree, the traditional village meeting place for making decisions by participatory consensus. The Independence Monument in Kampala by Gregory Maloba. Independence Monument had rejected the idea of an authentic unified background Ugandan culture, a projection of the shape of the British colony that artists and politicians were trying to imagine, and instead faced the challenges of the truly authentic plurality of Uganda’s political communities at the time. Out of his realization of the difficulty of creating a single Ugandan national identity, Gregory Maloba resorted to Christian prayer, suggesting in the mother-and-child motif of the monument that a monotheistic God was the bond of spiritual brotherhood, beyond the mundane world of politics, that the majority of Ugandans could join under. Obote ignored, or had no sense for, the subtleties of Independence Monument and had Maloba build Independence Arch to legitimize his earthly position as the figure around whom Ugandans could rally to find their salvation as a nation. During Uganda’s half century of independence, 1962-2012, successive regimes under and against Obote neglected the independence monuments except to utilize them strategically to bolster their own power, increasingly more with reference to outsiders than to the people to whom both were originally directed. Such was the case with the facelift of Independence Monument just in time for the 2007 Commonwealth Heads of Government Meeting (CHOGM) as a symbol to potential donors and businessmen that the National Resistance Movement NRM specifically had fulfilled the promises of independence. 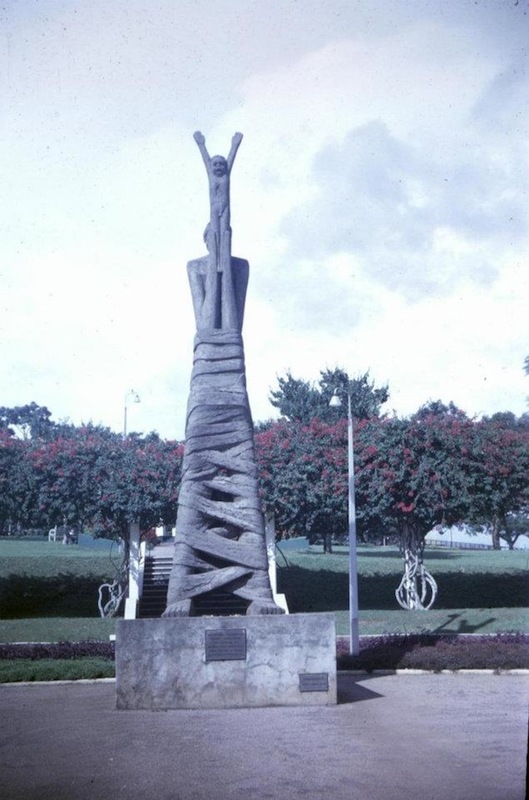 As a result, neither monument has become a part of Ugandans’ national consciousness, with Independence Arch being completely inconsequential and Independence Monument being interpreted skeptically by some commentators as a haunting witch of Uganda’s neo-colonial protection of militarized and corrupt rule. Uganda’s nation-building project has not approached the aspirations that politicians used the prospect of independence to promise. Ugandans have political experiences as violent and harrowing as any on the continent, with a paradigmatically brutal military regime under Idi Amin, civil war, political profiteering, and government failure to protect its citizens from local warlords and foreign militias. Ugandans have endured these postcolonial struggles within the framework of the modern nation-state. This model was bequeathed to Africans by the departing European colonial powers that had built their own more integrated nations only at the expense of the rest of the world, with their leaders making the prospect of citizenship alluring to the voters within their borders with the promise of infrastructure and national services paid for by the wealth extracted from their colonies in the nineteenth and early twentieth centuries. Later Europeans joining the race to national consolidation, such as Germany and Italy, consolidated numerous local jurisdictions within their boundaries through fascist mobilization, in the name of “national socialism,” and violent militarized expansion abroad, fueled by mythical versions of transcending racialized unity. The enormity and bulk of the monumental architecture of these models of national integration expressed both the inherent violence of the politics of nationalism and anticipated the failure of the democratic ideals of the last to arrive at the starting line of imagining the modern nation-state. In a post-World War II world enclosed entirely within political boundaries, colonial and national, new African nations lacked access to the external resources that had sustained European national services or massive propaganda campaigns. The international community of nations, assembled as the United Nations (1948) and in Africa as the Organization of African Unity (1963), prevented wars of expansion within Africa, although new African nations lacked the resources to embark on imperial campaigns until the massive arming of military dictatorships as the Cold War permeated the continent in the later 1960s. The best that these African regimes could do in their quest for national loyalty was to colonize regions of their own states, often areas resented for their privileged positions under colonial rule, and to create a semblance of services for the favored components of the nation. Most of the states’ resources came from foreign sponsors, increasingly in the form of military aid for military regimes. In a tragic irony, since the decade of African independence, former colonial rulers have become supportive of this participatory style of architecture, while their former colonies in Africa are largely dominated by regimes of monumental authoritarianism that recognize few monuments other than ones that project and protect their rule. As Europeans learned the horrific way in two world wars, these regimes of arbitrary violence and unfair distribution of services are weak and therefore inherently dangerous, especially for minorities who are singled out xenophobically as threatening outsiders in order to unite “insiders” out of fear rather than fulfillment. Yet self-interested and haphazard neo-colonial distribution of aid to these African regimes, predominately from Europe, insulates the African regimes from responsibility to their increasingly aware and sophisticated citizens. In Uganda, a new generation of citizens, linked to the rest of the world through the Internet and through increasingly smart phones, are painfully aware and disapproving of the militarized monumentality of the current regime, entrenched for a quarter of a century and increasingly reliant on foreign sponsors. Yet Ugandans struggle to enact change, and men and women like Dr. Besigye are literally willing to give their lives for a better Uganda. The crushing reality of authoritarian rule in Uganda is frighteningly reminiscent of Gregory Maloba’s carving of the pressures of colonial rule in his early and iconic Death. The National Resistance Movement resembles the satanic-figure with an expression of weary regret driving the people of Uganda who stand up to them into the ground. Not because the NRM is composed of sadistic killers, but because the NRM now uses state violence to remain in their position of power, fearful of state violence being turned against them or eventual arrest by the International Criminal Court (that their current European patrons have created) for war crimes if they ever relinquish power. Among the growing community of Ugandans agitating for democracy is a vibrant, talented, welcoming, and tight-knit group of Ugandan artists. Many are educated at the much-expanded Margaret Trowell School of Industrial and Fine Art at Makerere, now the national university, graduating nearly 200 students a year, and also from other art schools, and still other self-taught street artists. These artists create extremely political expressions openly, although at times subtly, critical of the NRM and of the international politics that sustain them. One of their greatest efforts is sponsoring programs to educate and train Ugandan youth through arts of all kinds, including dance, hip-hop, painting, and sculpting. 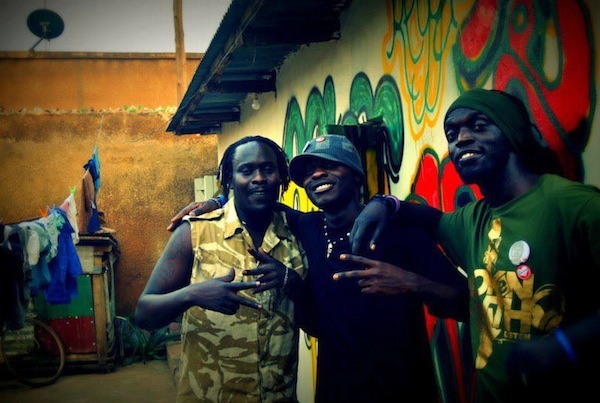 Babaluku, Szanie & the Gulu Producer. Photo by Bwette Daniel Gilbert. Statue of Pride, Weaverbird Arts Camp, Masaka. The Statue of Pride is a monument created in honor of the men and women who, like Gregory Maloba, influenced the arts in Uganda. 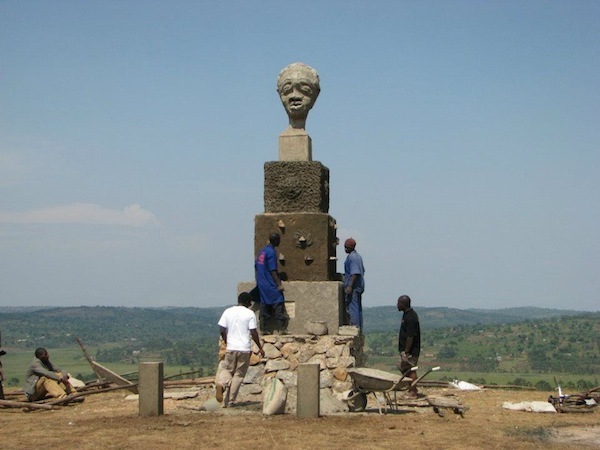 The statue is capped with an ambiguous abstract head that could be male or female – any artist in Uganda. Supporting the head are blocks of various textures, the various textures of people who make up a diverse Uganda, yet all united under the artist, suggesting that Ugandans might find the unity they desire in works, like Independence Monument, that bring all Uganda’s many textures together. The artist’s head stands above the fray of divisive politics of ethnicity, gender, religion, and hierarchies of power represented by the ambiguous shapes of the blocks themselves, offering a way forward. 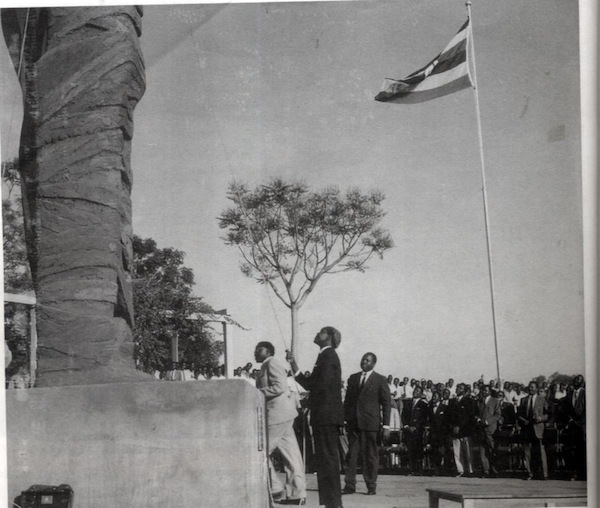 Perhaps one day Ugandan artists and citizens will honor Maloba and his vision by reappropriating Independence Monument from its current appropriation, even theft, by the NRM as a rallying place for reflection on the 50 years of betrayals of the original promise of independence. 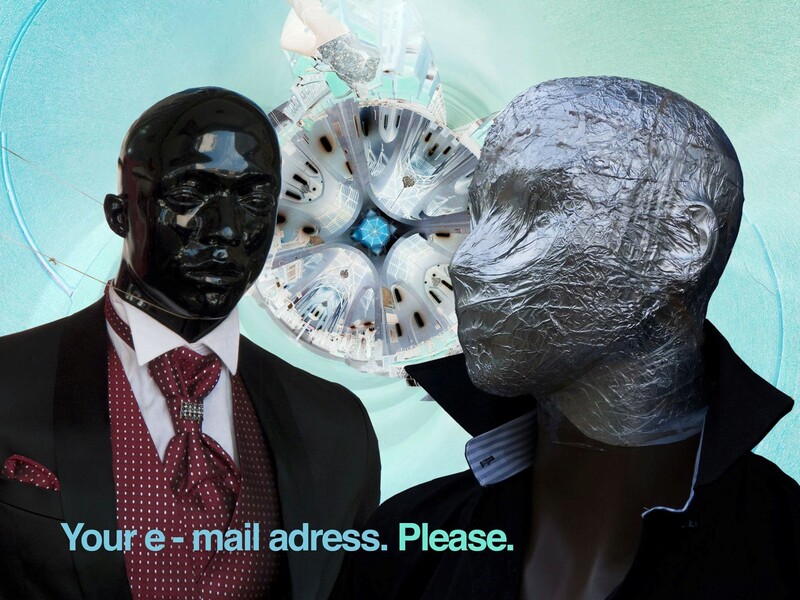 Armed with the social media that Ugandan artists utilize so effectively, they may give birth to a new generation of promise to transform Uganda. What will their monuments, the monuments for the next 50 years of independence, look like? 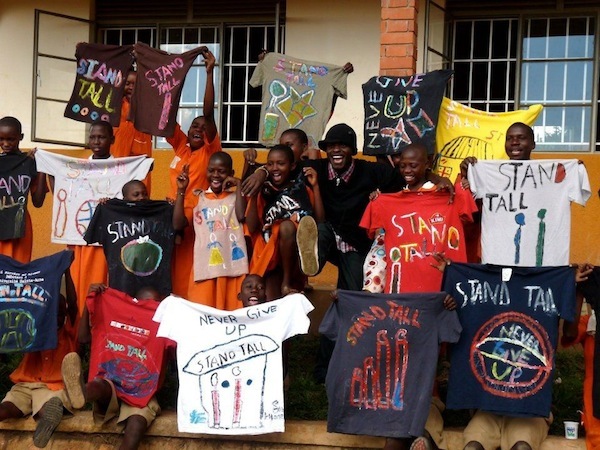 Szanie with children holding tshirts of stand tall at Stand Tall Education Centre. Photo by Bwette Daniel Gilbert. Mark Duerksen has studied with the School for International Training in Uganda and spent last summer in Kampala on a Harrison Grant getting to know the artist community. He is a graduate of the University of Virginia and plans to attend graduate school for African history. Click here to read the full version of Mark Duerksen’s thesis. I am very impressed with this documentation of the past and present of Ugandan artistic monuments. I have always been challenged by the fact that Ugandan artists have not been offered public spaces for expressing themselves through sculpture making. This clearly explains why i started the first Sculpture Park in Uganda, CAMP NDEGEYA SCULPTURE PARK to provide a platform for every Ugandan sculptor to expression themselves within a free space. The STATUE OF PRIDE is a landmark that represents the efforts that men and women who have prided us throughout the struggle of developing the arts in Uganda. A country without art is a country without a culture. Long live Ugandan Art. Oh thanks for enlightening us on what Gregory Maloba’s work as an influence of the arts in Uganda. He deserves an honorary stone at Camp Ndegeya Sculpture Park as we have done for Fabien Mpagi and Teresa Musoke amongst others. IAM VERY PLEASED TO SEE THAT YOU ARE DIGGING INTO OUR ARTISTIC PAST AND TRYING TO LINK IT TO THE PRESENT AND THAT SHOULD HELP THE NEXT GENERATION OF ARTISTS THAT ARE NOT YET BORN TO FIND A ROAD MAP TO LINK THEM TO THE GREAT PAST OF UGANDAN ARTISTS BEFORE THEM. Why should anybody look at change for the sake of change? If Dr.Kizza Besigye offered the people in the boundaries of Uganda much needed assurance more than the multi-challenged NRM does, then he should win the elections! But then too bad. I remember the anguish i used to feel while explaining to someone in 2001 that we needed to vote the retired Colonel then. Many individuals in the population showed me what they truly want and that is LIBERTY and NRM offers that. As long as NRM maintains a free market economy, then even corruption and embezzlement are efficient (by trickle down). I wonder what all this means…like empirically, who/what gains? I am not sure if that’s the most important thing. 85% Ugandans hope Jesus is appearing soon. One day i thought he had showed up and i had missed him while on Facebook. Whats the empirical gain from sponsoring something like Start Journal? Am so grateful for the article and its well researched content. Am tasked to prepare a report and one of the sub topics is culture and prosperity of cities in Uganda. This information on monuments has provided a great input. Great gratitude to the author.